The current state of volcanology, though sophisticated in many ways, can be compared to studying oil and gas reservoirs by only sampling seeps, or forecasting weather without monitoring the atmosphere. 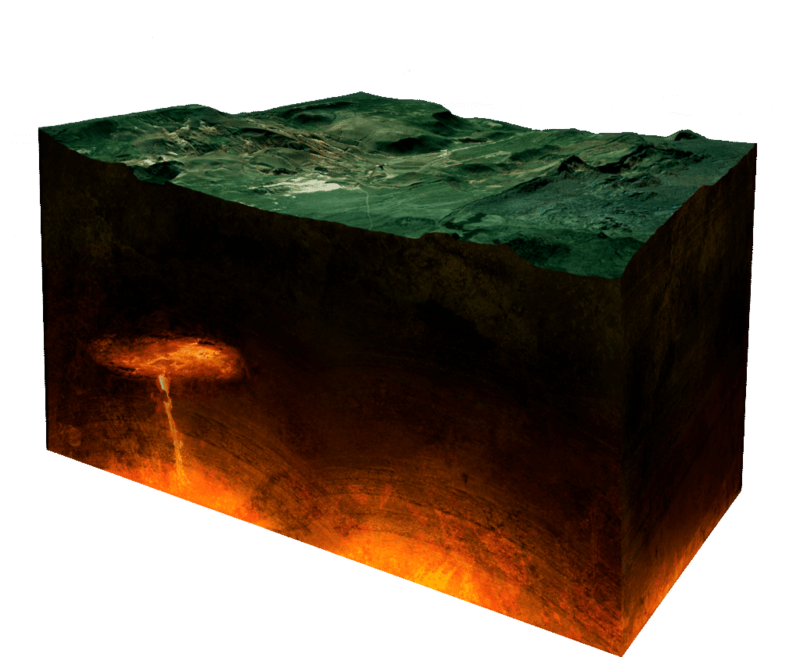 The ambition is a scientific research venture to drill down into the Earth’s magma-filled crust. The endeavor will enable volcanologists and geothermal scientists to directly sample and observe the previously-uncharted volcanic world that lies beneath our feet. Drilling into a magma chamber presents humankind with the first-ever opportunity to investigate magma properties in situ and to deliver a rich and tested dataset that can provide civil defence authorities with greater surety of what is happening below dangerous volcanoes. This ground-breaking undertaking will enhance knowledge on how to protect millions of people, towns and cities across the world from volcanic disasters; and will help to capture geothermal energy in more efficient and powerful ways, potentially tripling the output of a single borehole. The KMT collaboration is now seeking multinational support to further renewable energy solutions, natural disaster risk reduction and strategic scientific discoveries. With your help, drilling of the KMT could begin as early as 2019. Research would continue over at least a 30-year period at a permanent site at the Krafla Caldera in Iceland. The KMT will become a world-unique natural laboratory; creating innovative science and technology collaborations at a facility akin to the International Space Station, or the CERN Laboratory. The potential benefit of exploring the deep geothermal to magma frontier is enormous. If energy can be extracted directly from the margins of magma bodies, there can be a huge boost in energy production with little change in the development footprint. New knowledge of magmatic behaviour and monitoring could permit evacuation before major eruptions. It could avert unnecessary evacuations when unrest does not lead to eruption. It could substantially increase the sustainability of communities living near hazardous volcanoes. The KMT will more than pay for itself delivering this new knowledge. Indeed, the total cost of KMT over its lifetime is only a fraction of what governments and industry now spend for volcano monitoring and geothermal exploration, respectively.